Texas has to offer! The developers slogan, “Life Surrounds You”. Residents enjoy its convenient location on Nueces between 3rd and 4th Street, commonly known as the warehouse district. It’s the ideal location to be in close proximity to fine dining, night life, boutique shops, and the Lady Bird Hike & Bike Trail. 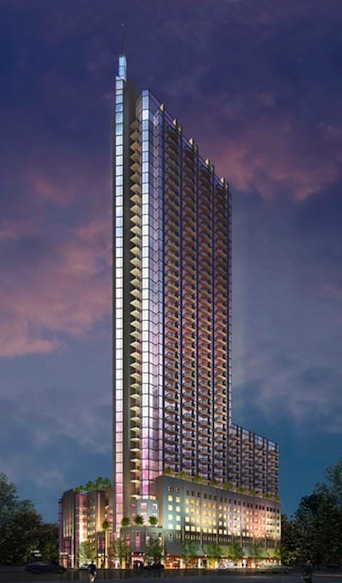 The 360 Condos in Austin Tx are one of the newest additions to the sky line among downtown Austin condos. Construction was completed in spring of 2008. The 360 condos in Austin Texas stands a staggering 44 floors! It’s the second tallest building in Austin after the Austonian. Some cool amenities offered to residents at the 360 condos Austin Texas include; 24 hour concierge, state of the art fitness center, an elevated pool deck and outdoor terrace with high-end stainless grills on the 8th floor, and much more!! One of the best perks as a resident includes; Free Wifi! The 360 Condos prices in Austin Texas start in the low $200’s and exceed well above $500k. Take a look at an up to date list of the 360 condos for sale.